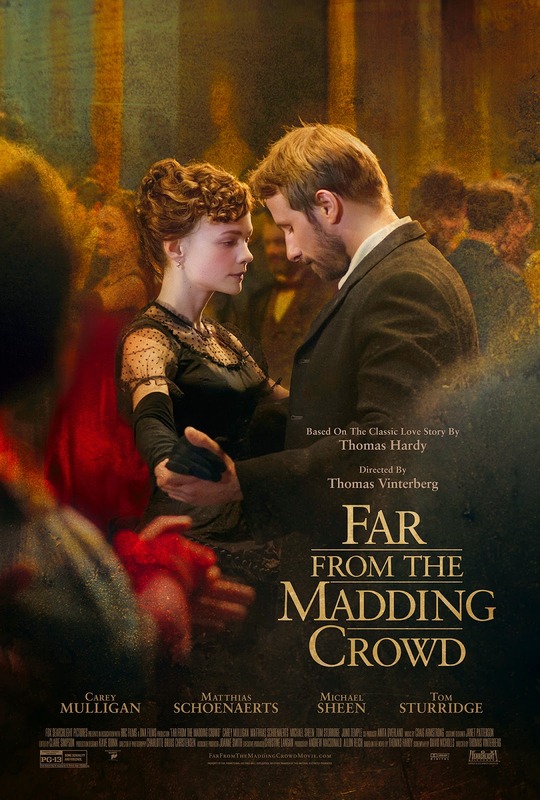 I don't know which is more gorgeous, the new poster (above) or this one (below) that I included with my Far from the Madding Crowd post back in February. 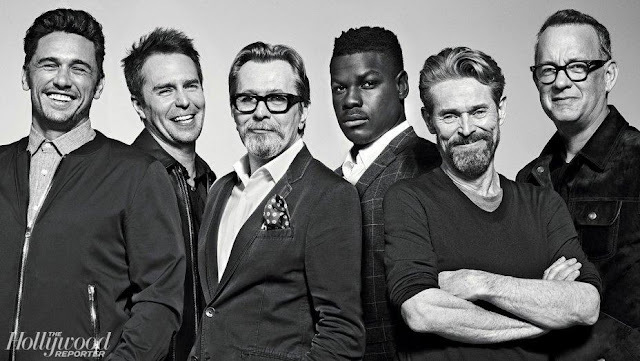 I have a feeling we'll be seeing a third poster before the film opens the U.S., the UK and Ireland on May 1st. Why? The first poster featured Bathsheba (Carey Mulligan) and Sergeant Troy (Tom Sturridge) embracing under the trees. This second poster pairs Bathsheba with Gabriel Oaks (Matthias Schoenaerts) on the dance floor. Since Ms Everdene was torn between, not just two lovers but three, it seems likely that William Boldwood (Michael Sheen) will have his 15 minutes of fame prior to the film's release. Far from the Madding Crowd makes its debut at the Istanbul Film Festival in Turkey on April 17th. Stay tuned for the buzz! Until then we have a featurette singing the praises of Thomas Hardy's extraordinary portrait of a very modern young woman. Hardy drew a complex picture of womanhood in the character of Bathsheba Everdeen; a young woman as different from Cinderella as the day is long. I'm just about sixty pages in to the 414 page novel but the story practically begins with Bathsheba turning down a marriage proposal. From what we see on the featurette Bathsheba is just as feisty and determined to make her own way in the world as ever. I couldn't be happier. A slightly expanded version, Baby You Can Drive My Car appears on my memoir blog. She wouldn't remember in a zillion years, nay, a bazillion years, but I met Ms. Mulligan at the wrap party for Drive, the film in which she was the object of desire for Ryan Gosling's character. It was a complete under utilization of her talent but she was absolute perfection in it. The party was held at a bowling alley in the Valley and Carey was there in a pale cardigan over a pastel colored silk blouse, looking as cool, calm and elegantly demure as you'd expect. My husband, one of the AD's on the show, insisted on taking me over to say hello. Between you and me, I hate wrap parties. I'm a confirmed introvert and making small talk is torture, which is to say meeting famous people is mostly a meaningless exercise in controlling sweaty palms. The stars are almost always gracious and say hello and usually tell me how much they love my husband. Ryan did that; told me how funny my husband was and that he was the one that should be in front of the camera. We took a picture together, Ryan and me, his gorgeous leather-jacketed arm around my shoulder, before he slipped away for a smoke break. It's a horrible photo; I really don't know who looks worse, me—my face pale and puffy and grinning like an idiot— or Ryan, strangely washed out by the bowling alley lights and my hubby's lousy use of his iPhone camera. Which is to say, you won't be seeing me post that here anytime soon. Later, when the Karaoke machine was up and running, Ryan proceeded to film my husband's standard rendition of Stairway to Heaven, which he performs with pretty much everything he's got, Elvis-styled hip shakes and all. I couldn't take my eyes off him. Ryan Gosling, not my husband. The meeting with Carey was much less momentous. Just a sweet and charming hello, it's so nice to meet you and I wondered if she, like me, was on the shy side. I just saw her on Fallon and she's hilarious but I sense a hidden quiet side. My husband asked her if she was having a good time and could we be expecting her to get in on the Karaoke? She laughed a little, made some 'Oh, I don't know about that' kind of comment back. And that was about it before a couple of the hair and makeup folks came over and whisked her away to a table. That's where the real relationships are built, in the hair and makeup trailer where the actors can sit and relax with a cup of coffee—or tea—while the pros brush and polish them until they're camera ready. Like going to your favorite stylist day after day; it's easier to let your hair down and and chat and be yourself in the privacy of the hair and makeup trailer, much easier to bond and make real connections. Anyway, I've always had a soft spot for Carey, both before and since, and can't wait to see what she does with the role of Bathsheba Everdene. I've always thought she had the most beautiful speaking voice, the voice which you hear singing in the trailer is hers and just as lovely. How about you? 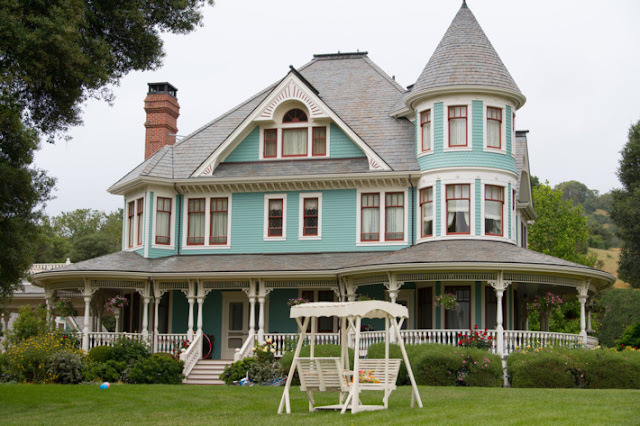 Have you read the Thomas Hardy classic? 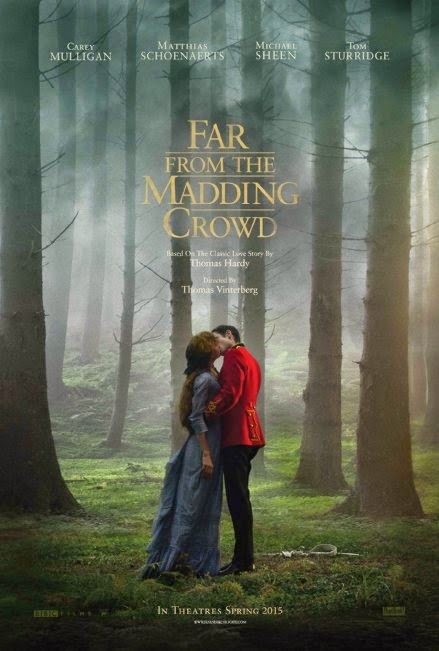 Will you be watching Far from the Madding Crowd when it hits your local theater?